Getting real: do buyers pay real estate agent fees or commissions? One of the most frequent conversations we have with homebuyers at Open Listings is about our 50% commission refund and how real estate agent fees work. Many real estate agents will tell homebuyers that their service is free, and that as a buyer, there’s no cost. But, in reality, this is more of a technicality about how commissions get accounted for than a truth. As a buyer, your agent and the seller’s agent split a commission fee — typically 5–6% of the purchase price of the home. And while this fee is technically paid by the seller, it’s factored in to how much sellers list their home for. 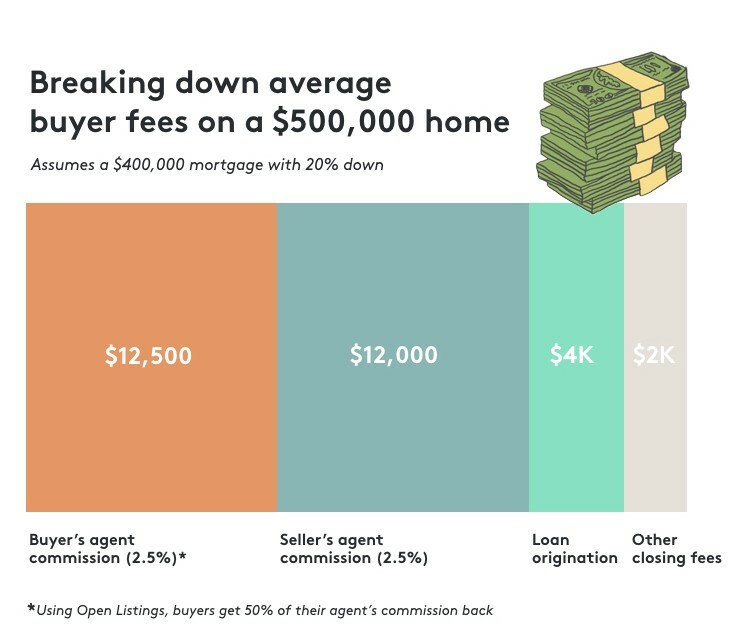 Since these fees get baked into a home’s listing price, and you’re the only one who has to pay money at closing, the commission gets passed onto you when you buy a home. Less than forthcoming real estate agents might argue otherwise, but this isn’t just our opinion. Since real estate agent commissions are rolled into a home’s asking price, as a buyer, you’re essentially footing the bill when it comes time to close. So, what are you paying your buying agent for? In the past, a buyer’s real estate agent split the commission fee with the seller’s agent because getting a buyer to find a home used to be much more difficult. Before the internet (we know — it was a dark time), buyers’ agents had to pull home listings for their clients, drive them around on home tours, price every home based on comps, and handle all of the offer and closing paperwork manually. While today’s buyers often prefer to house hunt on their own, traditional real estate agents still spend 80% of their time driving potential clients around who may never make a deal and marketing themselves to find new clients. 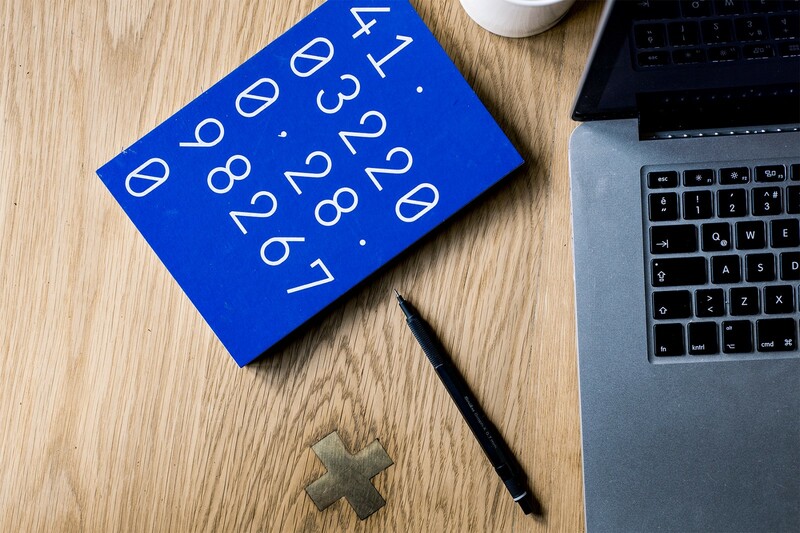 The 2.5% commission you pay them mostly helps to cover these sunk costs rather than the time they spend helping get your offer accepted and getting you into your new home. Buyers’ agents work has evolved, but their fees haven’t. How can Open Listings afford to give buyers half their commission fee? It’s simple: because we’ve focused on making the homebuying process more efficient, which means we can pass the savings onto you. Rather than waiting for a real estate agent to send listings you’re already looking at online, private property info, property reports, and neighborhood analytics, we’ve put it all in an app so buyers can get information instantly. Instead of relying on just one agent who may or may not be available, we’ve created a model where buyers get access to an entire team of homebuying experts to help, answer the hard questions, and reach out to sellers’ agents for property-specific information 9am-8pm, 7 days a week. We have a network of vetted local showing agents who get paid to do just that: show you homes that you book on-demand and on your schedule, as well as answer questions you have when you’re at the property. We only pair you with a top-rated local buying agent once you’re ready to make an offer. Because our buying agents only work with you once you’re ready to buy, they’re able to provide their expertise during the most important part of the buying process: getting your offer accepted and guiding you through negotiations, closing, and escrow. And, because your buying agent hasn’t spent most of his or her time driving you around or looking for new clients, we can give you full support and serious savings when you need them the most. So, you get thousands back when you buy with us — $7,000 on average. Buying a home is slow, frustrating, and expensive. Yet, it hasn’t changed in 100 years. So, we’re inventing the modern way to buy. At Open Listings, our mission is to make buying a home simple and more affordable by giving everyone the confidence to own their future. So far, we’ve helped thousands of buyers get into half a billion dollars worth of homes and save over $5 million in unnecessary fees. Still have questions on how commission fees or our 50% commission refund works? Shoot us an email or schedule a consult with one of our homebuying experts.